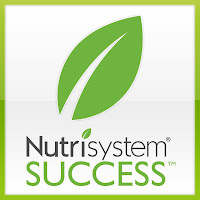 Today marks the end of my 7th week on Nutrisystem. Yesterday, my husband and I spent the day at the fair with the kids, and we had a blast. We walked around all the animal barns, vendors and carnival rides. We watched the pig races, which were adorable, and of course... we walked through all of the fattening food booths as well! Typically when we visit the fair we eat a variety of fair food, simply because it's something we only do once or twice a year! It's tradition, right? Elephant ears, funnel cakes, caramel apples, cotton candy... you know the drill! This year, I broke tradition and didn't eat any of that! Of course, it looked and smelled delicious and I would have loved to have one (or two), but I told myself that it just wasn't worth it! Sure I could have indulged but I knew I would have been angry at myself afterwards! With my Nutrisystem lunch bar in my pocket... I left the fair focused and on without regret! That brings my total weight loss to 21.6 pounds! We've all hear the saying... "Nothing tastes as good as skinny feels" and "You are what you eat." Those are words to live by! 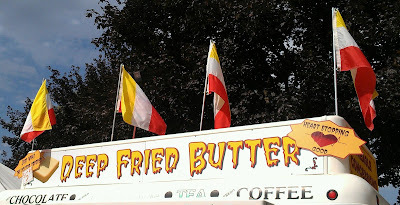 You have an iron will:) There's no way I could have passed up some of that yummy fair food! Good work! You are seriously my hero! You are doing so well, I can't wait to see how much you lose next week! You are awesome! I couldn't believe they had fried butter, it's crazy. I ended up getting the Greek Nachos from A'zars and some funnel cake, but that's it. That made me feel not too horrible after. great job and keep up the hard work. It will pay off! That's awesome! Congrats on your weight loss so far and good luck! Congrats on all of your hard work. Awesome Girl! Keep up the great work. You are rocking this program!! So awesome!! Yay - congrats. It must have be tough to refrain with all that temptation around you. I'm so proud for you!